At Sturgis 2012 and the marketing spin on the delayed launch of new 110th Anniversary models. A couple weeks back, Harley-Davidson announced its 2013 model lineup. 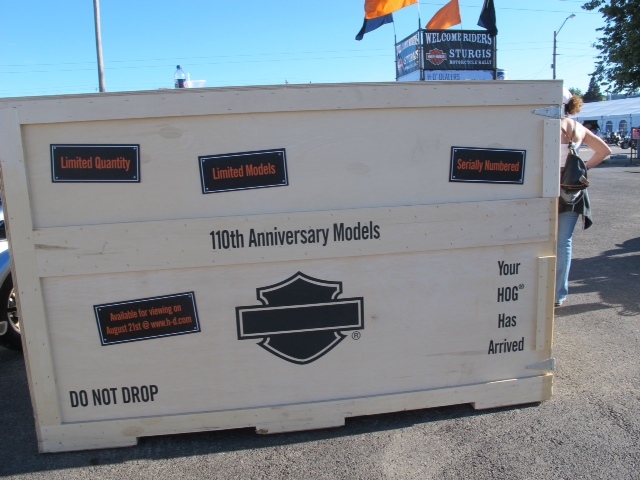 Post Sturgis and as expected (and previously blogged HERE) there are a number of 110th Anniversary models receiving the press attention. Understandable, given its the kick-off celebration of the 110th Anniversary. Recently at the Harley-Davidson Museum, and then in a Europe continuation of the festivities at European Bike Week in Faaker See, Austria, on Sept. 4-9, 2012. However, the ‘official’ Harley-Davidson Anniversary Celebrations will unfold in Rome, June 13-16, 2013, and in Milwaukee, Aug. 29-Sept. 1, 2013. There will be ten models available as part of the 110th Anniversary Editions. They will have unique serial number plates and Anniversary Vintage Bronze/Anniversary Vintage Black paint (CVO models get Diamond Dust/Obsidian paint). Each will feature commemorative solid bronze fuel tank badges plated in black nickel and then distressed to highlight the bronze. A bright gold-tone Bar and Shield cloisonné is inserted in the main body of the “single wing” badge along with special anniversary badging and trim. All of the Anniversary Editions will be loaded up with factory-installed options as ‘standard equipment’ including a premium price between $665 and $2,495 over the non-Anniversary models. Historically the Anniversary models become a collector item and sometimes retain higher resale value. In addition, for 2013, the motor company is pushing the Hard Candy Custom program, a shout-out to the styling movement from the chopper era of the 1960s that showcases metal flake paint, and styling details. The motor company also introduced the new CVO™ Breakout™ model. 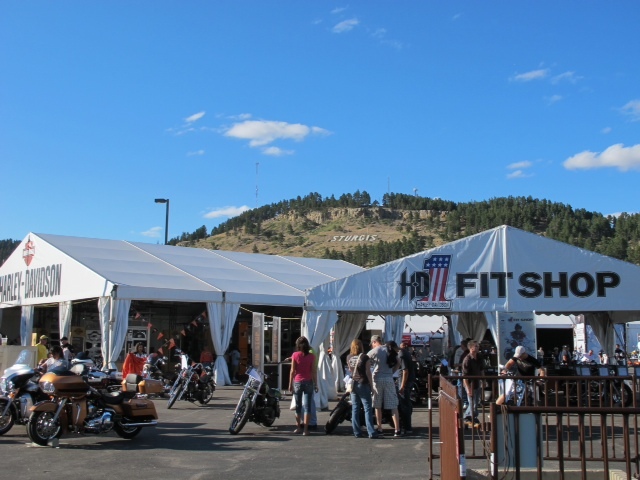 Photos taken by author at Sturgis 2012 and courtesy of H-D.